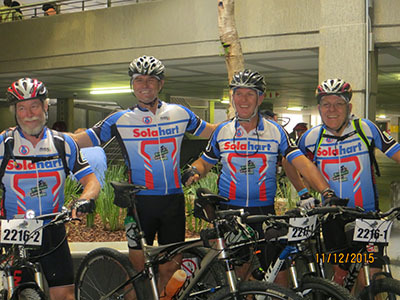 Two of NEC Power & Pumps Senior Management successfully particip ated in the very demanding 2016 Desert Dash Mountain Bike Race. 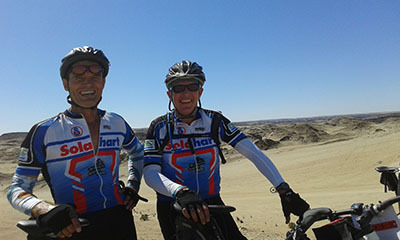 The Race covers a distance of 370 km from Windhoek to Swakopmund and each rider covered a distance of 250km. Both 2 Man Teams – Niko Brueckner / CEO team up with Ecki Freyer and Andreas Brueckner / Director NEC team up with Andrew Corbert. Both Team did well and finished within the cut off time of 24 hrs. Green Mambas take the Cup! Please provide your contact details and we will contact you shortly.